The Universal Rights Group (URG) today welcomed the holding of the first informal Human Rights Council briefing with the High Commissioner for Human Rights, a new work format discussed and developed through inclusive talks during the 2015 Glion Human Rights Dialogue. 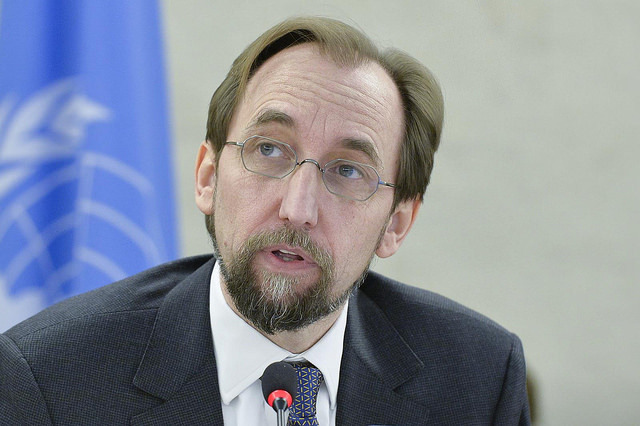 The informal Council briefings, organised in cooperation with and following a request by the UN High Commissioner for Human Rights, Zeid Ra’ad Al Hussein, offers an important new platform for the UN’s apex human rights body to respond rapidly to pressing global human rights concerns, and to interact more effectively with the High Commissioner. Although the idea of more regular briefings by the High Commissioner has been raised before, including in the context of the Council’s five-year review, yesterday’s briefing, organised immediately after the organisational meeting of the 29th regular session of the Council, stemmed from discussions during three policy dialogues held in advance of the second Glion Human Rights Dialogue, as well as during the Glion retreat itself (5-6 May). During those discussions, delegations and NGOs from all regions called for the Council to make better use of the expertise and reach of the High Commissioner, including in the context of prevention and early warning. The High Commissioner used his inaugural informal Council briefing to raise concerns about the human rights situation of migrants in the Mediterranean and in South-East Asia. He also updated the Council on his visits to Burundi and Tunisia, and raised concerns about the human rights situation in South Sudan. Image: “Human Rights Council – 28th Session” by UN Geneva, licensed under CC BY-NC-ND 2.0.